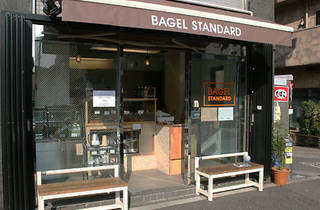 Bagel Standard is a New York-style joint located a 10-minute walk from Nakameguro Station along Yamate-dori towards Meguro. Owner Minoru Yabushita – who learned his craft at New York’s famed bagel mecca Kossar’s Bialys, uses North American wheat flour to create bagels with a firm feel and truly American taste. The wares here are takeaway only, but in front of the shop you'll find two reasonably sized benches that customers can use. 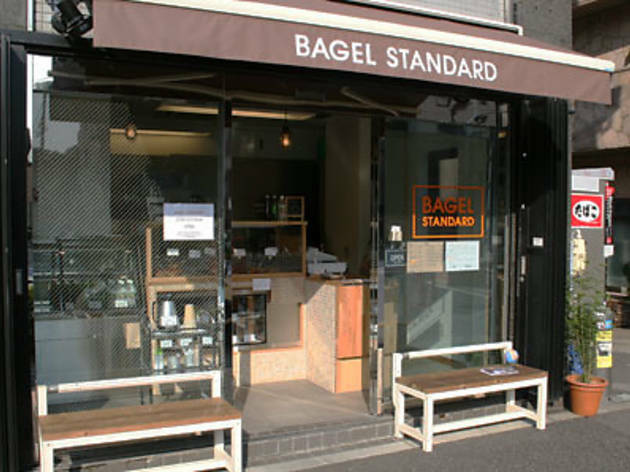 Alternatively, the Meguro River is only a few minutes' walk away, and makes for a great place to enjoy a bagel or two. The shop closes once the day’s stock has been sold.